How to use your settings. 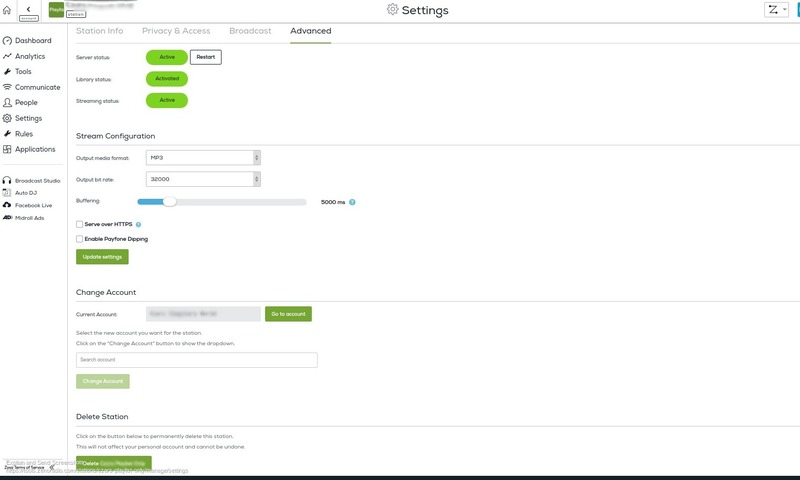 You can manage your radio settings on the SETTINGS tab. This information (but the Name, logo and tagline) is not shown publicly. It's useful to fill in these fields as it helps us understand who you are and offer you the best service possible. At the Privacy & Access tab you can set whether or not to show tracks that are playing. Check the Master Link. 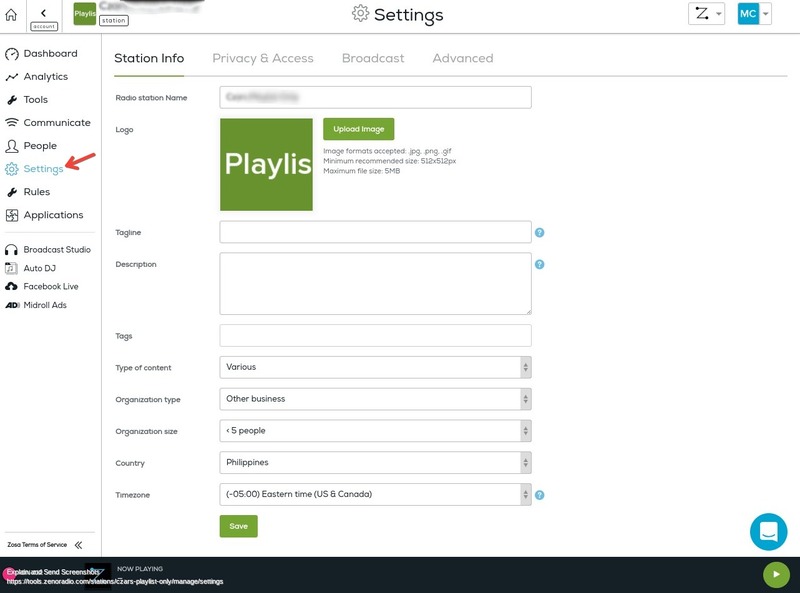 This broadcast link and the server credentials that come with it allow you to broadcast using your choice of equipment. The information will allow you to use any Icecast or Shoutcast-compatible broadcasting/ DJing software or plugin to connect to Zeno Tools. Set if the breaks can interrupt master link. 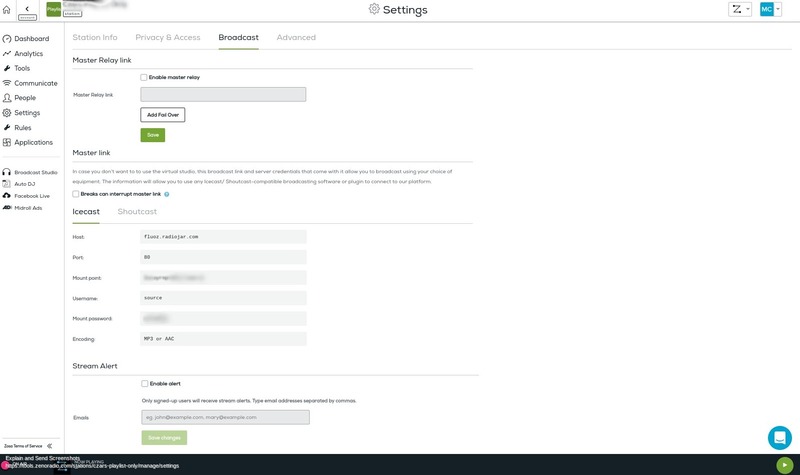 Enable stream alerts for signed-up users.